Call or Request an Appointment Online Today. If you live in Beaver County, PA, Hancock County, WV, Columbiana County, OH or the surrounding area and need a trusted veterinarian to care for your pets – look no further. Dr. Gorby is a licensed veterinarian, treating all dogs and cats. Your pet's health and well being are very important to us, and we take every possible measure to give your animals the care they deserve. 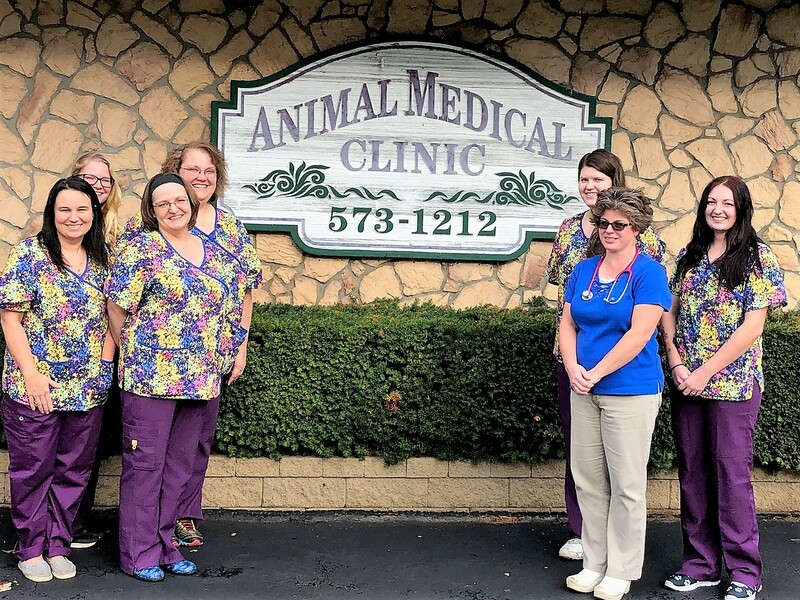 Animal Medical Clinic is a full-service animal clinic and welcomes both emergency treatment cases as well as pet patients in need of routine medical, surgical, and dental care. Dr. Gorby has 20 years of experience treating serious conditions and offering regular pet wellness care. Beyond offering first-rate pet care, we make our clinic comfortable for both you and your pet. We are kid-friendly; we offer coloring books, crayons, and stickers for our young client's enjoyment along with having a basket of lollipops for kids of all ages. We offer a calm environment and provide plenty of treats so your pet can relax and enjoy their visit to the vet. We are happy to offer a number of resources that enable you to learn about how to take better care of your pets. Please feel free to browse our site, particularly the informational articles. The best veterinary care for animals is ongoing nutrition and problem prevention, so becoming knowledgeable about preventative pet care is essential to the ongoing success of your animal’s health. If you have any questions, call 724-573-1212 and we'll get back to you. Our office is very easy to get to -- just check out the map below! We also welcome you to subscribe to our newsletter, which is created especially for local pet owners. At Animal Medical Clinic, we treat your pets like the valued family members they are! Surgery & Recovery 8:00 a.m. to 3 p.m. Appointments 3:00 p.m. to 7:00 p.m. Surgery & Recovery 8:00 a.m. to 1:30 p.m. Appointments 1:30 p.m. to 5:00 p.m.
"They spent a lot of time with my dog being she was terrified of the vet. Everyone is really nice. Highly recommend!" "Dr. Gorby is the best vet I've encountered. She takes time to get to know the pet and the pet parents and clearly likes her patients. The staff is without exception very courteous. I wish the staff at my former primary care doctor's office had been as courteous. I recommend the Animal Medical Clinic."